Speed across the site with your favorite racer. Hit the road with the definitive version of Mario Kart 8. The Mario Kart 8 Deluxe game has dozens of characters to choose from—including newcomers from the Splatoon™ series! Race for the cup on 48 courses, including ones inspired by the Excite Bike™ and the Legend of Zelda™ series. Mario Kart 8 Deluxe has new options to help out rookie racers, like Smart Steering. Do you have the need for speed? Try to beat your best time in the insanely fast 200cc mode. Pack a punch with power-ups! Get the edge on the competition with these powerful items. Hold two items at a time! With five types of battles, there are more ways than ever to wreck the competition. Earn points by popping opposing characters’ balloons. Blast away your enemies and try to pop the most balloons while only using Bob-ombs. Play a game of cops vs. robbers as one team tries to put the other in jail using Piranha Plants. Collect as many coins as possible before time runs out. Try to hold the Shine Sprite for a count of 20 before time runs out. GET MARIO KART 8 DELUXE! Use your compatible amiibo to unlock custom driving suits. Go to amiibo.com for details. Looking for Mario Kart 8 for Wii U? * Nintendo Account required. Nintendo Switch Online membership (sold separately) and Nintendo Account required for online play. Not available in all countries. Internet access required for online features. Terms apply. Game, system, and amiibo figures sold separately. Figures shown not actual size and designs may vary. Compatibility and functionality of amiibo may vary per game. 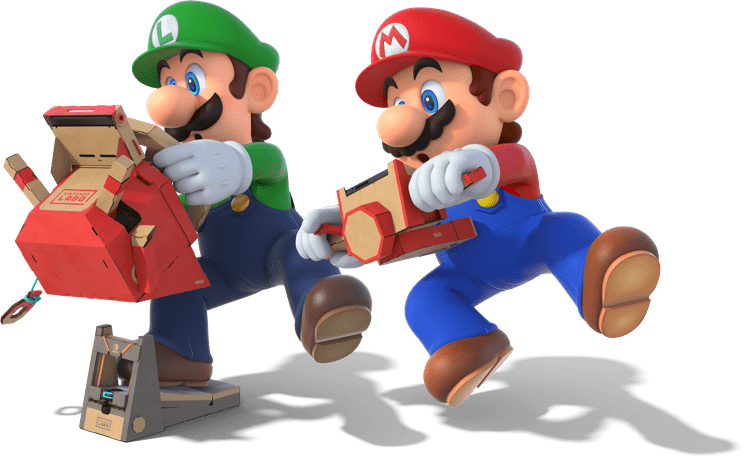 Visit amiibo.com for specific details on how each amiibo works. Will send anyone who hits it into a spin. Green Shells travel in a straight line and knock over the first driver they hit. Three Green Shells that spin around your vehicle. Red Shells lock on and pursue the vehicle in front of you, knocking over the first driver they hit. Three Red Shells that spin around your vehicle. Pursues the driver in 1st place, knocking over any other vehicles it hits along the way. This one won’t stop until it catches the leader! Bob-ombs explode a short time after use or on impact with a vehicle. Gives you a brief speed boost. Three Mushrooms that spin around your vehicle. Press [L] to use one of them for a brief speed boost. For a short time, allows you to use a Mushroom every you press [L]. Temporarily transforms you into a Bullet Bill, making you zoom automatically toward the finish line while knocking over any vehicle you make contact with. Squirts ink on the vehicles ahead of you, briefly obscuring the drivers’ views. Strikes all opponents with lightning, causing them to lose their items. It also temporarily shrinks them, reducing their speed. Makes you temporarily invincible and increases your speed. Any vehicle you hit will be knocked over. Lets you throw fireballs for a short time by pressing [L]. Any vehicle you hit will spin out of control. The boomerang can be thrown up to three times. Any driver it hits will spin out of control. Attaches temporarily to the front of the vehicle. When the Piranha Plant bites at something, the momentum of its lunge provides a slight speed boost. Sends nearby vehicles and items flying with an ear-splitting honk. Eight items that orbit your vehicle. Press [L] to use the one closest to the front at that moment. Gives you two extra coins. The more coins you have, the faster your vehicle will go. Launches your vehicle into the air, avoiding bananas and shells. Hit an opponent during a jump to steal one of their balloons. Makes your vehicle temporarily ghostly, allowing you to pass through bananas and shells. You might also steal an item from one of your opponents. "...it's one of the best kart racers ever made." "...a victory lap for an amazing entry in the series." "... an absolute must for Switch owners." Play at home on the big screen or take your game to-go—wherever the race leads you. Flip the built-in stand to share the screen and play together. Simply undock the console and attach your Joy-Con to go portable. Don’t have a Nintendo Switch Online membership yet? Go to Nintendo eShop on your device and sign up for a free 7-day trial or become a member today to try out online racing, voice chat, and more! To activate LAN Play, go to the main menu and hold down the L and R buttons, while at the same time pressing the Left Control Stick. The on-screen Wireless Play option will then change to LAN Play. A game, system and USB LAN adapter is required for each player for LAN play. A compatible router and network cables are also required. Each sold separately. For more info, visit Customer Support. Insert a Joy-Con into this accessory and feel like you’re behind the wheel of your own kart. A new update to the Mario Kart™ 8 Deluxe game is available now! Race like a champion with the Master Cycle Zero and Champion’s Tunic Link from the Legend of Zelda™: Breath of the Wild game. This update also includes the Ancient Tires and Paraglider parts.